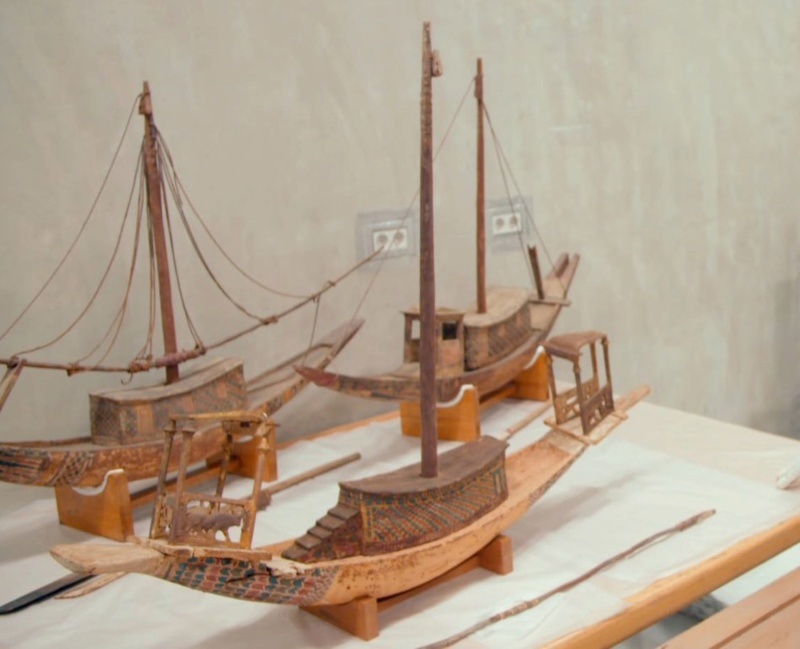 This is one of eighteen model boats that were found in the treasury of the tomb of King Tutankhamun. The fleet was to be used by the king on his journey beyond the grave and consequently the boats were all facing west to indicate the direction of travel. This boat is fitted with sails and shrouds and has a central cabin and a housing at either end decorated with images of a bull and a sphinx. 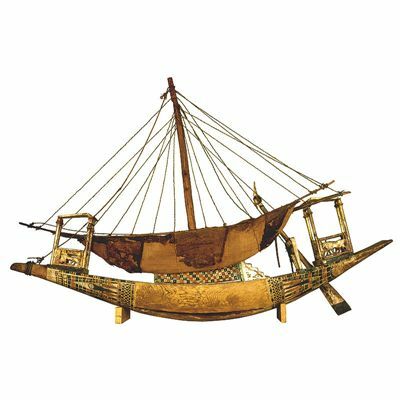 This type of boat was used to make pilgrimages to the holy city of Abydos, the cult center of the god Osiris. these are wto photos I have downloaded. paintwork on them has lasted a danmed sight longer than is does on my boats lol.